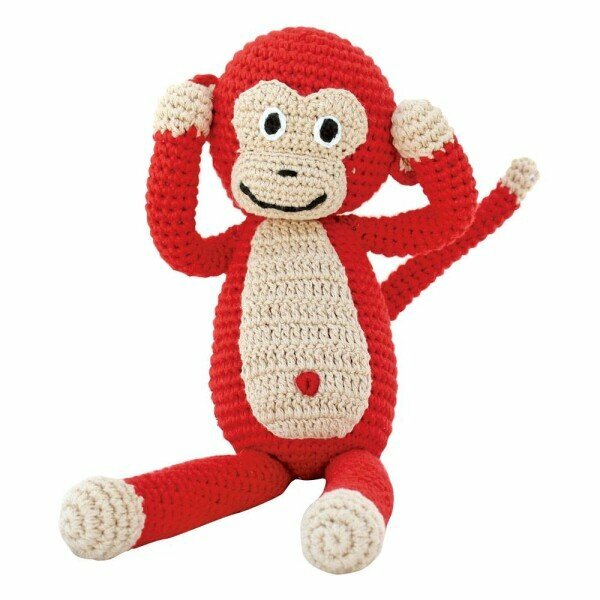 Red stuffed monkey by Sindibaba. Due to the high proportion of bamboo fibers feels soft and cozy. Size: approximately 30 cm.